Happy Halloween! 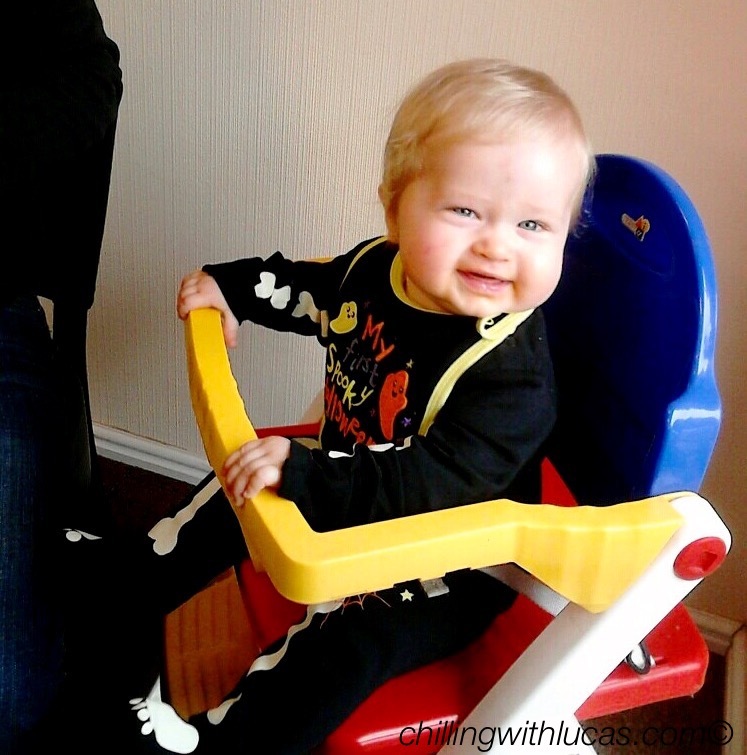 For Lucas’ first halloween we took him to visit his grandparents and great grandparents. He was a not so scary looking skeleton. 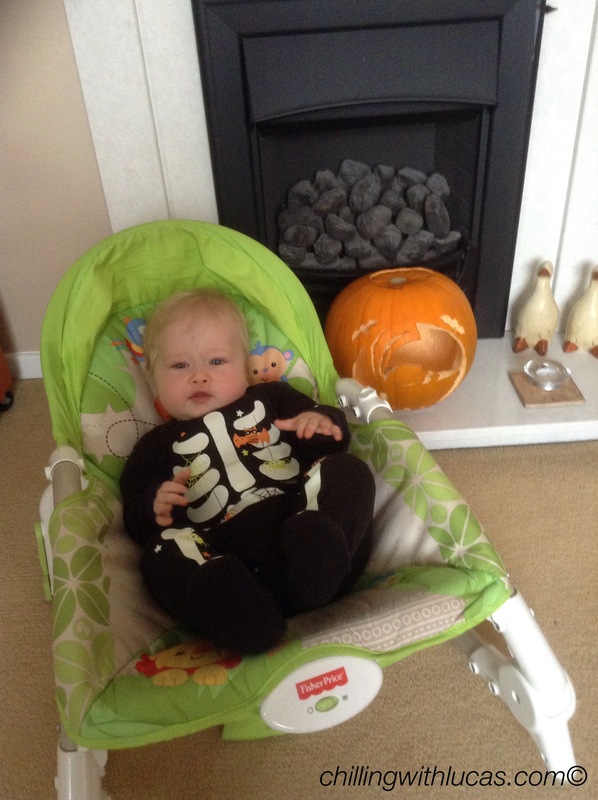 I bought a skeleton all in one and ‘my first spooky halloween’ bib from Tesco. I carved 2 pumpkins. 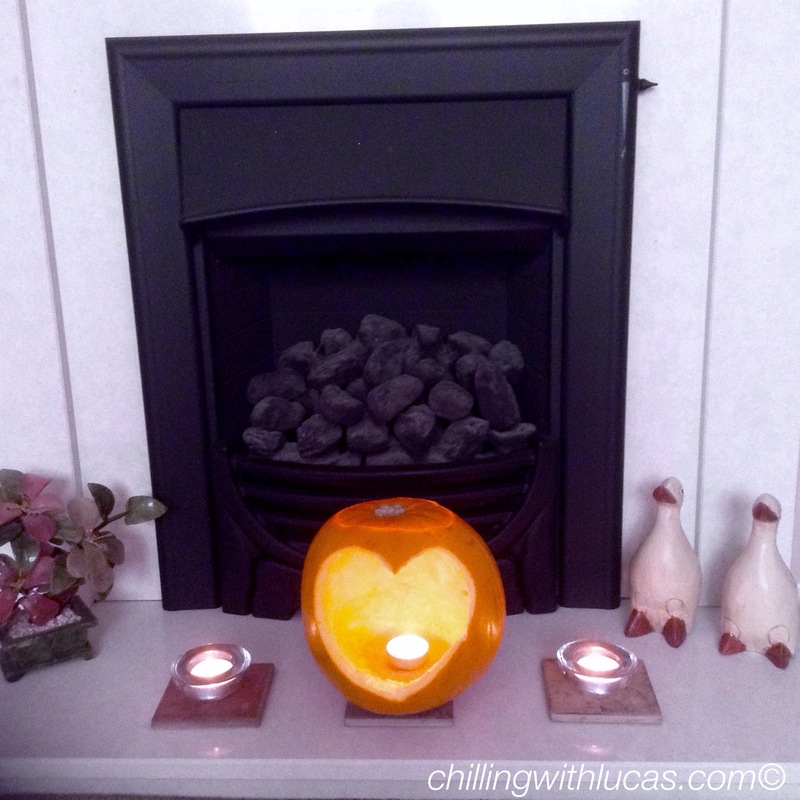 The first I carved a heart for World Vision, the idea is you carve a heart in the pumpkin and text HEART to 70060 to donate £5, helping children living in fear. 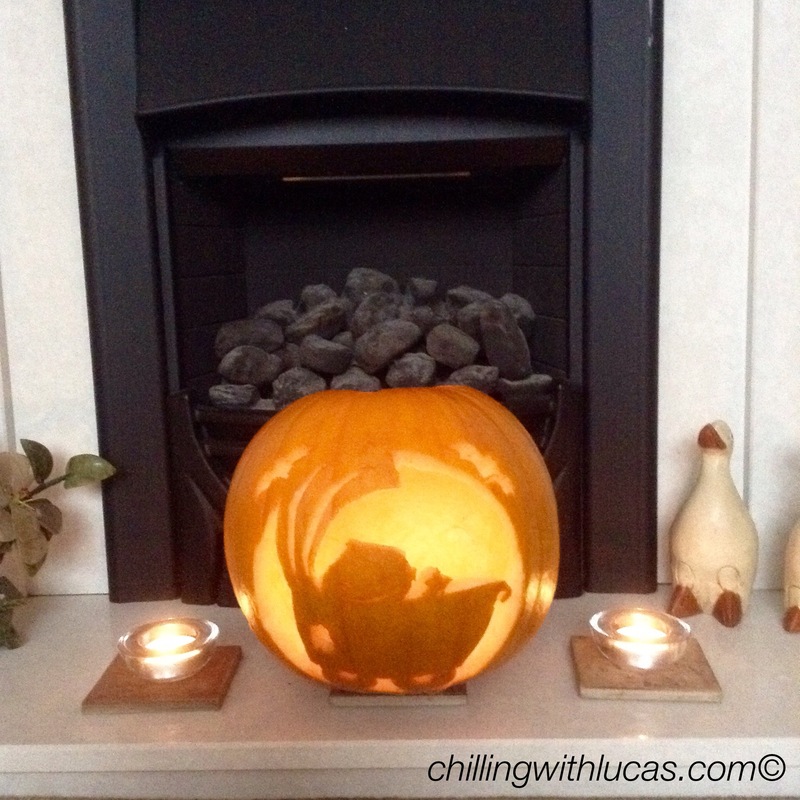 The second pumpkin I carved was an image of a baby in a pram that I found from The Pumpkin Lady. It is meant to have Baby’s 1st carved across the pram but that got a little too tricky for me. 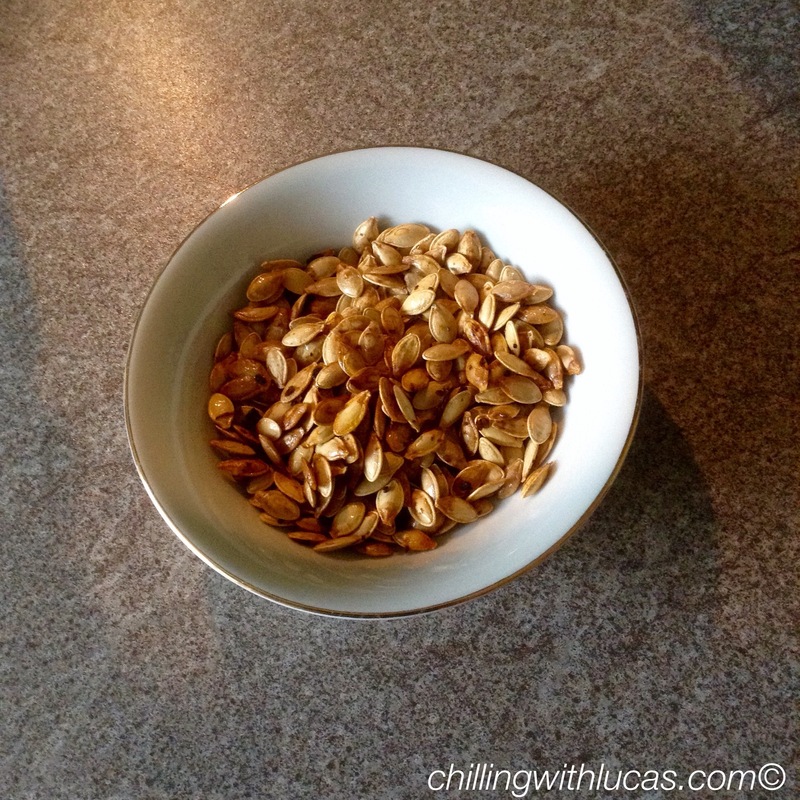 I washed and roasted the pumpkin seeds with sea salt and chilli, these were lovely sprinkled in the soup and as a snack. 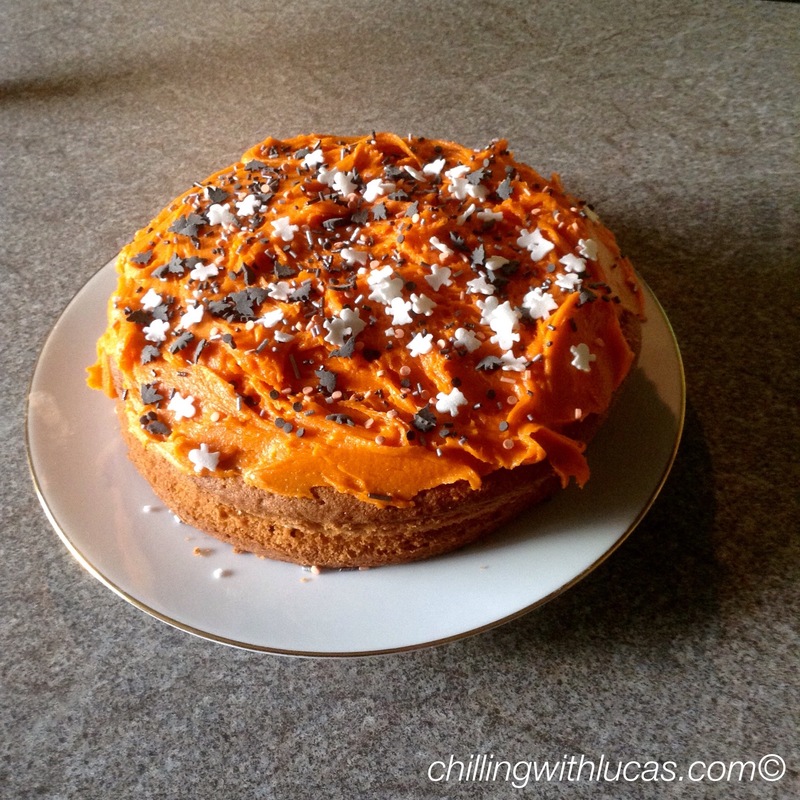 I baked a halloween cake, this is the first cake I have baked from scratch, I usually use pre-mixed packets. I kept it simple by doing a Victoria Sponge. 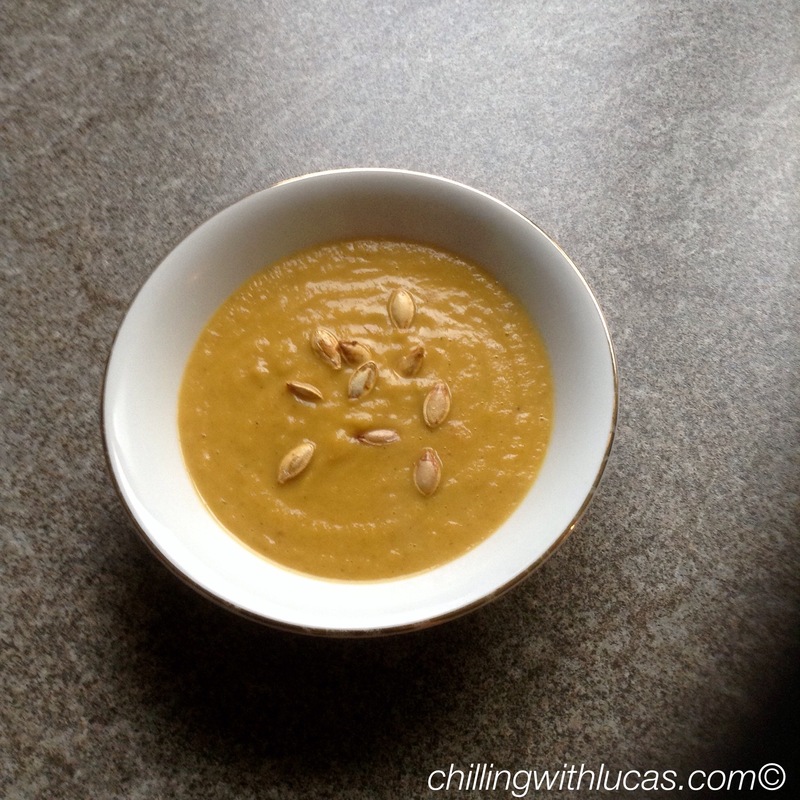 I used a recipe from BBC Good Food. -Heat oven to 190C/fan 170C/gas 5. Butter two 20cm sandwich tins and line with non-stick baking paper. In a large bowl, beat all the cake ingredients together until you have a smooth, soft batter. -Divide the mixture between the tins, smooth the surface with a spatula or the back of a spoon, then bake for about 20 mins until golden and the cake springs back when pressed. Turn onto a cooling rack and leave to cool completely. -To make the filling, beat the butter until smooth and creamy, then gradually beat in icing sugar. Beat in vanilla extract if you’re using it. Spread the butter cream over the bottom of one of the sponges, top it with jam and sandwich the second sponge on top. Dust with a little icing sugar before serving. Keep in an airtight container and eat within 2 days. I used orange frosting and halloween sprinkles from Aldi to decorate. 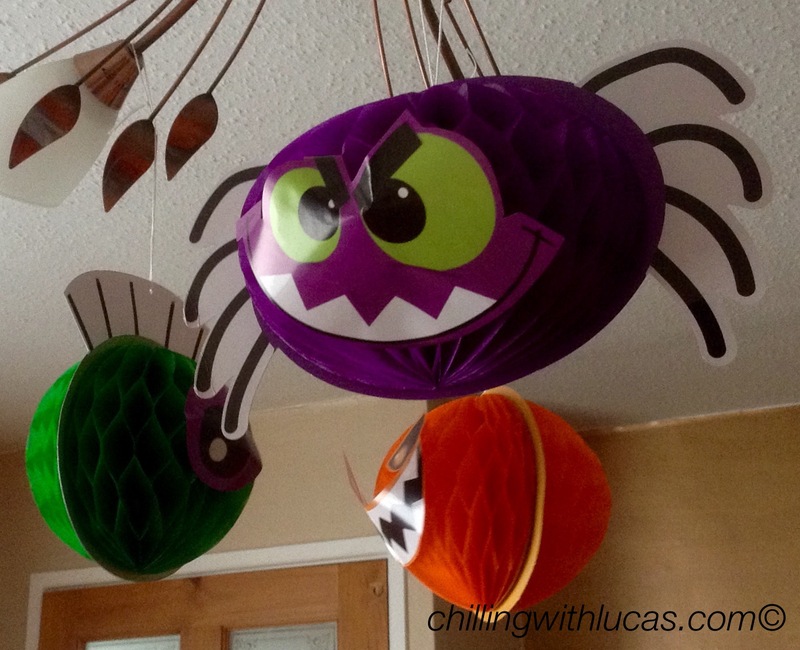 D bought some orange and black balloons and some hanging decorations which Lucas enjoyed scrunching up and batting the balloons around. Wow, so creative! I love the pumpkins. I had B’s folded up to put away in her laundry pile, went in her room one night to see this thing on the side glowing. It took me a few minutes to realise what it was!